Are there 5 oceans? Are there 4 oceans? Or is there only 1 ocean? Water consumes 71% of Earth. Over time, the number of oceans have evolved from a single water body to something different. But it really depends where you are from if you recognize that there is a fifth ocean. 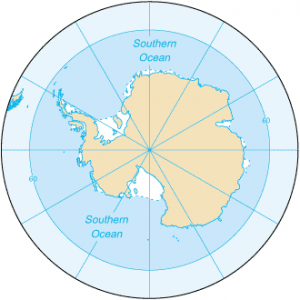 Pacific, Atlantic, Indian, Arctic… and the Southern Ocean which is off the coast of Antarctica. 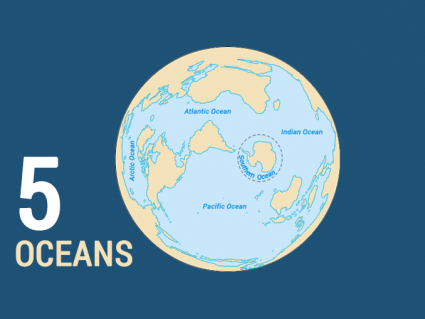 Today, we list the top 5 largest oceans in the world and the evolution of 5 oceans on Earth. The Pacific Ocean is the largest ocean covering more than 30% of the Earth. This is close to half of the water on Earth. It touches the west coast border of the Americas along with east Asia and Australia. 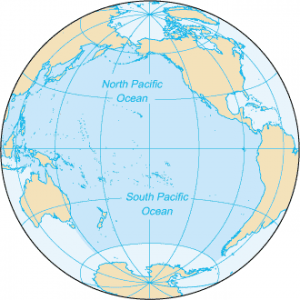 The equator divides the Pacific Ocean into two separate parts – North Pacific Ocean and South Pacific Ocean. Pacific means “peaceful” in Latin. It has the deepest trenches with an average depth of 3800m. 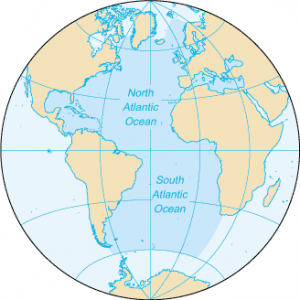 The Atlantic Ocean is situated between the Americas and European/African continents. Atlantic Ocean is the second largest and saltiest ocean in the world. It resembles an S-shape between the Americas, Europe and Africa. “Atlantic” originated from the Greek god “Atlas” who carried the sky for eternity. The ocean bottom is composed of mid-Atlantic Ridge. This submarine mountain range extends all the way from Iceland to 58 degrees South latitude. It’s part of the longest mountain range in the world. The Vikings, Portuguese and Christopher Columbus have extensively explored the Atlantic Ocean. Similarly to this day, it’s being used for trade routes such as the transatlantic trade route. 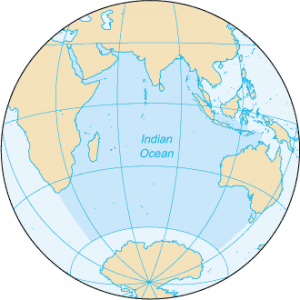 Indian Ocean is the third largest ocean surrounding a densely populated region. It contains additional 20% of water on Earth’s surface. It borders India at the North, East Africa, Australia and the Southern Ocean. Because if higher water temperature, it has limited marine life. Since about 800 A.D. the Indian Ocean has played an important role in trading. For centuries, navigators have sailed along major ocean currents for shipment routes. It is bounded by 4 tectonics plate boundaries and may include an additional plate boundary. It is the geologically youngest of the 5 oceans with spreading ridges at divergent plate boundaries. In 2000, the Southern Ocean is the newest ocean recognized by the International Hydrographic Organization. It borders Antarctica in its entirety. In terms of size, it’s the fourth largest at 20,327,000 square kilometers. It extends out to 60 degrees South latitude. It’s an extreme environment and is the least understood of the 5 oceans. This is because it is unexplored, far from populated areas and has a severe climate. Despite the Southern Ocean being unexplored, about 80% of all oceans in the world are unexplored. There’s still a lot of work to do for ocean exploration. 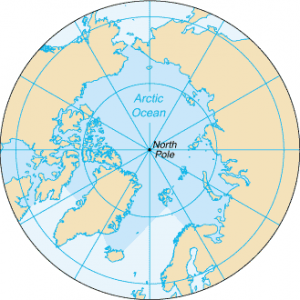 Arctic Ocean is the world’s smallest and shallowest ocean of all 5 oceans. Further to this, it is the coldest and least salty ocean. In size, the Arctic Ocean is about the size of Russia. Because it’s located at the North Pole, the Arctic Ocean has polar ice. But over the years, glaciers have melted threatening sea levels to rise. Despite the IHO recognizing it as the “Arctic Ocean”, some oceanographers still call it the “Arctic Sea”. The Arctic Ocean is the most diverse in terms of fish species. It has a wide variety of marine species including whales, jellyfish, etc. But because of its frigid temperatures, it has little plant life. This makes it one of the most fragile ecosystems on the planet. Along with oceans, the Earth has seas. But there are much more than 7. Seas are surrounded by continents. For example, the continents of Europe, Africa and Asia surround the Mediterranean Sea. Water covers approximately 71% of Earth’s surface. But there is a lot unknown about our oceans. This is why oceanography is an emerging science. How Much Salt is in Oceans? Imagine being stranded in the middle of the ocean. Water completely surrounds you. But none of its fresh to drink. How come oceans have salt? And why do rivers and some lakes don’t? How our planet is covered with oceans makes it unique to planet Earth. It’s in the ground, on the surface, in the air and in our bodies. But how much of the global water distribution is in glaciers, groundwater, rivers and lakes? It turns out that most of it is in our 5 oceans. Ocean currents are like giant conveyor belts moving huge amounts of water all the time. Wind, temperature and salt gradients all influences ocean currents. We list the major ocean currents that impact weather patterns and aquatic life.